International Symposium "Biofabrication in space: new opportunities for conducting biological experiments"
The invitation is overdue, registration is closed. The 2018 International Symposium on Biofabrication in Space, organized by the Laboratory for Biotechnological Research of 3D BIOPRINTING SOLUTIONS, Russian State Space Corporation ROSCOSMOS and SKOLKOVO FOUNDATION will be held in Skolkovo, Russia on 11 April, 2018. The aim of the symposium is to discuss the current state and prospects for the development of new biofabrication technologies and the possibility of their use in space. A fundamentally new approach to bioprinting called "formative production” is possible to enable in microgravity conditions. The bioprinters developed for carrying out such experiments will allow creating various organ constructs, including those sensitive to radiation, for assessing the adverse effect of cosmic radiation on the health of astronauts in the missions to the Moon and Mars. 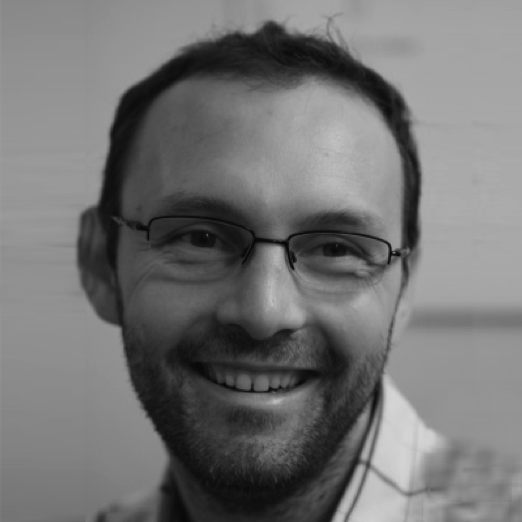 Matteo Moretti is head of the Cell and Tissue Engineering Lab at IRCCS Galeazzi Orthopaedic Institute, Milan, Italy. Prior to this he worked as postdoctoral fellow at Massachusetts Institute of Technology, Harvard-MIT Div. of Health Science and Technology, Langer Lab. Both of his degrees, B.Eng (Politecnico di Milano) and research M.Sc (Trinity College Dublin, with Prof. P.J. Prendergast) are in Bioengineering. He obtained a European Ph.D from Politecnico di Milano, pursuing his research also in Prof. I. Martin’s Tissue Engineering Lab at U. Basel. His main research interests lie within osteochondral and cardiovascular tissues and bioreactor technologies. In particular, on engineered tissues and in vitro model systems, 3D tumor models, tissue vascularization and in multi-scale bioreactor systems as a key to more viable and accessible tissue and cell therapies. He is member of the TERMIS-EU Council and invited Expert Reviewer for various Governments and Institutions, amongst which EU-FP7/HORIZON2020, UK BBSRC, Hong Kong ITC, Portugal FCT, German BMBF, Netherlands ZonMw and ETH Zurich. He has been awarded a number scientific prizes including a N.A.S.A. Tech Brief Award for development of scientific or technical innovations. Industrially, he has been coordinator of EU Projects for Fidia Advanced Biopolymers, has a licensed patent and is co-founder of 2 biotech startups (SKE s.r.l. and CELLEC A.G.) focused on bioreactor technologies. Acting Deputy Director for Research, Institute of Biomedical Problems, Doctor of Medical Sciences, Professor, Corresponding Member of the Russian Academy of Sciences. Lyudmila Buravkova is the author and co-author of more than 200 scientific articles, collective monographs on the mplementation of scientific programs on biosatellites, experimental studies involving human subjects in the modeling of space flight factors and factors of the hyperbaric habitat. Currently Prof. Dr. Buravkova heads the department "Molecular Cell Biomedicine" and the laboratory "Cellular physiology". She is a recognized expert in the field of space biology, physiology of extreme states and gravitational cytophysiology. • Investigation of the plasticity of the progenitor cells and the intercellular interaction. Prof. Dr. Buravkova is a full member of the International Academy of Astronautics (Paris), a member of the International Committee on High Pressure Biology, a member of the editorial board of the journals "Human Physiology", "Aerospace and Environmental Medicine" and "Cell Technologies in Biology and Medicine." 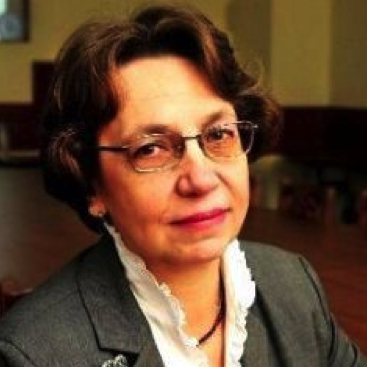 In addition to scientific work, L. Buravkova is engaged in teaching activities, being a professor at the Department of Ecological and Extreme Medicine of the Faculty of Fundamental Medicine of the Lomonosov Moscow State University. Professor Buravkova heads the course of "Space Medicine" and lectures on barophysiology in the course of "Medical Ecology". Vladimir graduated from Ivanovo State Medical University in 1977. V. Mironov received Ph.D. in Histology and Embriology in 1980. Mr. Mironov is a Professor of Virginia Commonwealth University in Department of Chemical and Life Science Engineering (USA); he also conducts research in Center for information Technology Renato Archer in Campinas (Brazil) and in National Research University in Moscow. 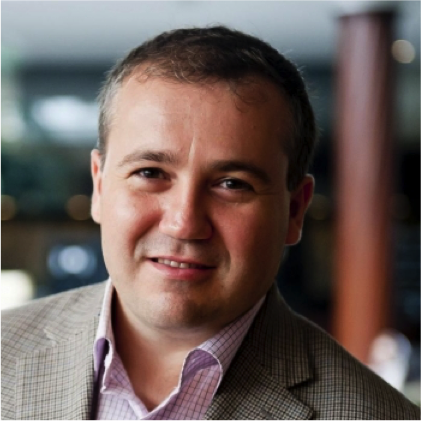 Vladimir is Head of Research at the Laboratory for Biotechnological Research of 3D Bioprinting Solutions. April 11, 2018. Skolkovo, Russia. 9:50 – 10:00 Greetings from the conference’ organizers. 10:00 – 10:30 Lyudmila Buravkova (Institute of Biomedical Problems, Russia). 10:30 – 11:00 Engin Ozcivici (Izmir Institute of Technology). 11:00 – 11:30 Markus Wehland (Otto-von-Guericke University Magdeburg, Germany). Tissue Engineering of Multicellular Spheroids under Microgravity Conditions. Formative biofabrication on Earth and in space. 13:45 – 14:30 Keynote Speaker: Utkan Demirci (Stanford University, USA). Magnetically guided self-assembly and coding of 3d living architectures.